How to show the world your classiness, your je-ne-sais-quoi and that little extra? Guerlain reveals a makeup collection that shows your feminity and your true personality. 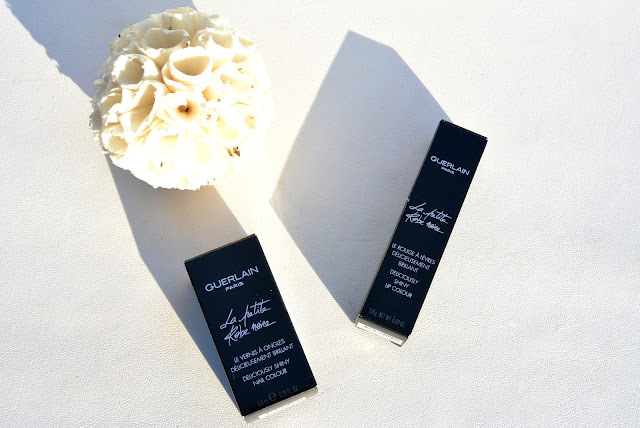 What you need according to Guerlain is colour, and not just any colour. Scented, vibrant and classy colour! 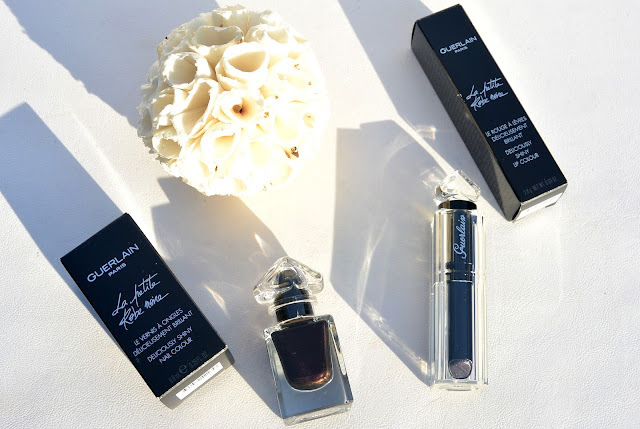 Guerlain creates fragranced colour and imagines an absolutely essential and uttely irresistible La Petite Robe Noire nail colour in deliciously shiny texture to dress up your style with colour. A real La Petite Noire Miniature perfume bottle with its lid in the shape of the famous upside-down heart. Its flat brush allows optimal, easy and precise colour application. The shades are ultra shiny and come in vibrant colours, I choose the shade 007 black perfecto. Wait several seconds to let the nail polisch dry and unveil a delicate floral fruity fragrance with accents of bergamot, rose and raspberry, inspired by the delicious notes of La Petite Robe Noire. 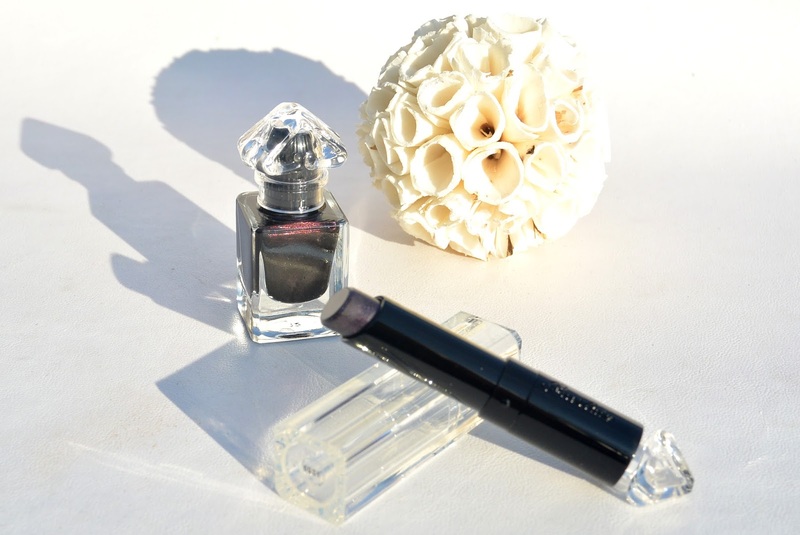 Guerlain created an absolutely essential and utterly irresistible La Petite Robe Noire Lipstick in deliciously shiny texture to dress up your style with colour. 001 My First Lipstick is the ideal lipstick for young girls and for all women that prefer themselves natural. A soft pink subtly set off with a veil of shimmer with an innovative texture. 007 Black Perfecto is a surprising shade. A fake black that can be applied alone or as a top coat for an elegant rock finish. The shades of the La Petite Robe Noire Lipstick adapts to the PH of the skin to reveal the natural colour of the lips or a tailor-made colour. 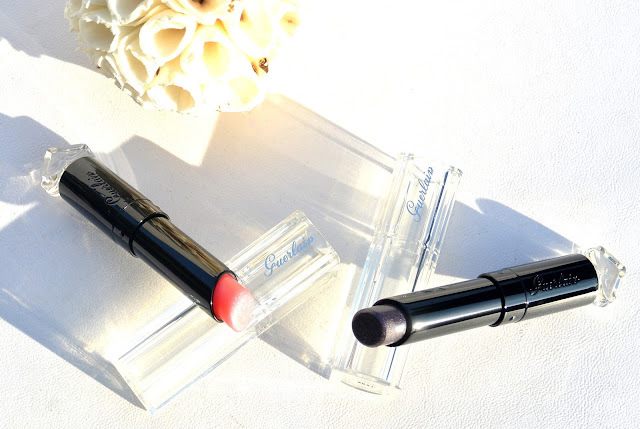 What I like about these lipsticks, is that you can build up the intensity of the colour by applying multiple layers. The texture of the lipstick feels very light on the lips, it is subtle and very comfortable. Inspired by La Petite Robe Noire perfume, the formula is deliciously perfumed and delicately flavoured for an unforgettable taste on your lips. I love the idea of cosmetics to match a perfume! I've tried the topcoat before and the scent of the nailpolishes is SO lovely! Waauw zo mooi allemaal! Als de verpakking mooi is dat doet al zoveel haha !